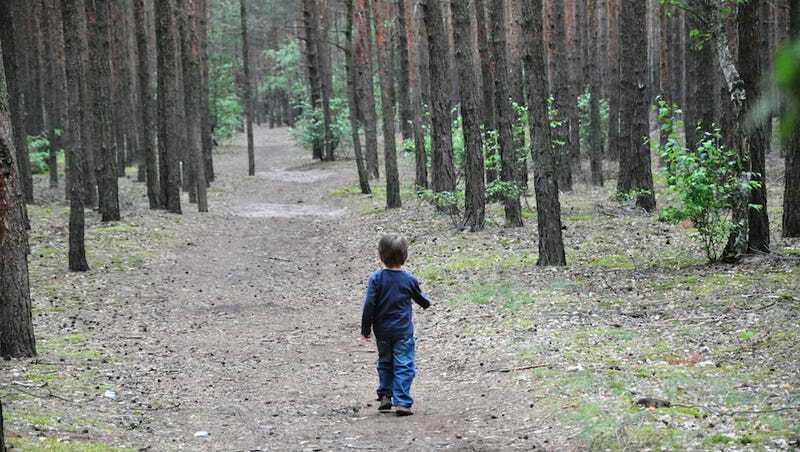 Should We Really Be Tracking Our Children Like Wildlife? Many New Yorkers are still mourning the news that the body of Avonte Oquendo, a non-verbal autistic boy, was found on the banks of the East River. To meet—and partially assuage—the grief, Senator Charles Schumer has an idea: let's put tracking chips on autistic children. "Tracking chips" is just a loose term for describing the devices that Schumer and associates think will keep autistic children from getting lost. The device can be worn like a bracelet or attached to clothing or shoelaces, and it would enable parents and law enforcement agencies both to pinpoint a child's location within minutes. Oquendo's mother, Vanessa Fontaine, threw her support behind the idea at an event with Schumer on Sunday, and the senator is now looking for funding. But is it really a good idea to start tracking our children like wildlife? This is not a new idea. In fact, wearable RFID devices for children have been on the market for nearly a decade. Sure, the obvious pro is that, if the children get lost, they're easier to find. But this clearly raises a host of important issues surrounding privacy and ethics. A chief complaint with child-tracking technology is the simple fact that it treats them like animals. There's also often a party in the mix that stands to profit from government-sponsored programs, just like the one Schumer is suggesting. That was the case in California in 2005 when parents protested a student-tracking program at local schools on the grounds that they had little control over who would run the program. They also didn't like the idea that the tracking program was pegged to levels of attendance, a measurement that affects how the school receives its funding. In other words, tracking students meant more tax payer dollars for the participating schools. The same was true for a similar case in Texas in 2012. Of course, tracking only kids with autism or another handicap changes the equation—and arguably makes things worse, with the implication that autistic children are uniquely helpless and should thus be subject to unending geographical surveillance. This runs a clear risk of further marginalizing those diagnosed as autistic—in effect, imposing their diagnosis on them with a technological Scarlet Letter, a device normally reserved for criminals and exotic wildlife. Though the specific details of Schumer's plan remain vague, New York's tracking program would be put into place for safety concerns only. It does make you wonder if parents will treat the tracking chips as a crutch, though, and pay less attention to their children. It would be presumptuous to blame all missing children cases on neglectful parents, but you could also see how knowing that a child is being tracked could encourage parents to be a little more loose. Finally, there's the safety concern. The tracking chips are meant to keep children safe, but if the data were to make it into the wrong hands, bad things could happen. I'm mainly thinking of the outlandish but very possible scenario of a sexual predator with hacking skills using the location information to track down vulnerable victims. If the chips were built securely, this is less of a concern, but hackers seem always to find a way. None of this should rule out the possibility of implementing a program to help keep track of autistic or otherwise handicapped children. It should, however, be a reminder that such a program should be designed with these concerns in mind.